our new kickstarter is live! 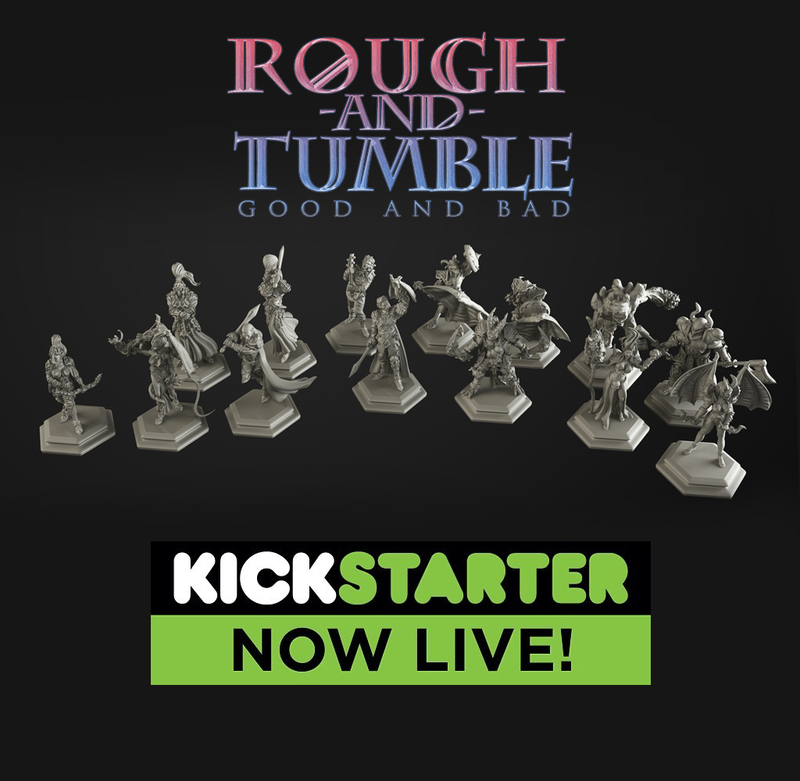 Rough-and-Tumble is a board game for your 3d printer. 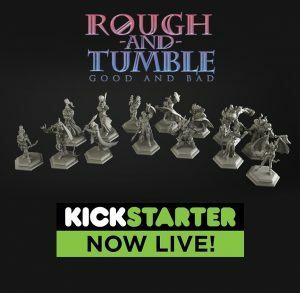 Rough-and-Tumble is a board game with a new and unique game mechanic: a game of chess with hexagonal boxes. You will choose between four teams: dwarves and orcs, from the first edition of the game Chaos and high elves introduced in this game expansion, so it make it similar to the video games the kids play on their consoles using resources from sites as http://mycsgoboosting.com/resources/ and others. It's also possible to play Rough-and-Tumble with the only expansion, the two editions can be used separately from one another. It's not a normal board game that you buy and put on a shelf, this is a game for your 3D printer, it was the perfect distraction for me, I was plating fifa 19 mobile games 24/7 and still love it but it definitely felt like I needed a distraction! By buying this, you will receive files to print miniatures, map and markers, directly by your own 3D printers, while cozy at home! What's better than the opportunity to custom your chaos team showing off all the gift you earned? What's better than do it with magnetized parts? If you agree with me that's the best so this campaign is for you! 4 Santa Chaos warriors made in resin with 4 magnets each and provided with 32 mm bases. 1 Reindeer Minotaur made in resin with 4 magnets and provided a 40 mm base. 11 Satyirs made in resin and provided with 32 mm bases. and the pitch built on ice and painted with the blood of the little elves of Santa Claus. It will be realized by Deep Cut Studio on 34mm squares. Spread the seed and try to win! Rudenolf was thinking, a strange novelty, the concept of novelty itself was new. Like obscene streamers, the bowels of the red-clothed fat man adorned his mighty antlers; that old bearded man, his fixations, he had never paused a moment to think of him! Did he ever stopped to think of red as the color of blood? And that the blood itself could compete to overcome the intensity of his hateful dress? Those were strange thoughts, they jumped in all directions ... like his companions! ... those strange little goats on two legs, so similar to the odious little elves with pointy ears, pimps servants flatterers of the fat one, similar not so much in appearance or in the intent, as for the frenzy, the elves to fulfill the silly and repetitive mission of the red fat man, the goat to annihilate everything in their sight! Rudenolf still had the harmony and the beauty (other new things he had just discovered) of the jumpy ballet in his eyes, a hypnotic dance between the heads of goat and the little elves. The former bound to destroy, the latter desperately trying to escape in panic amids torn bodies, entrails pulled like crimson ribbons to adorn those corpses like badly discarded gift packages... a chaotic motion that contrasted with the immobility of the Four. Yes, the Four. Rudenolf became aware of them only when they granted him such notion. No matter how but he suddenly opened his eyes and he saw them, cruel simulacra of the red fat one, similar in appearance, but glorious in the aura of their intent! And there they stood, true bearers of gifts. Gifts for all, not only for the odious and boring good of spirit, whose luminous souls had marked step by step a destiny of slavery for Rudenolf. The Four threw the fat man dressed in red before his feet (Rudenolf was standing!) bloodless and panting. They said to him: "Play with him! ", what is "play" he asked, and one of the Four beckoned him towards the brothers with a goat's head, "They are happy, they have fun" he said, and as he watched the latter wearing the limbs of the elves like obscene vestiges, Rudenolf understood, and as he eviscerated the fat one he was really happy. "Now it's enough!" the Four said, "now the game changes, it will have rules, our rules!. Now you can dress red clothes too and you can bring to all the gifts that you will consider just ... pain, fear, despair, your revenge, your new game "... Rudenolf understood, his nose lit up with a dark red, cruel, not a guide in the night, but a threat, an ominous foreboding, memento of an inevitable promise, joy and expectation yes, but only for Him and his too many buried desires. "Now enough" shout one of the Four, the one with the wolf helmet, which until now had not spoken, "stop playing with the bowels of the Elves! ... you prepare Rudenolf, walk with us, at our side, the Coach is waiting for us! There are no delivery fees for the team pledge and the team + pitch pledge. Add-on only pledge starts fro 7 euros, those are delivery fees. Production will be completely made in our workshop in Italy. If the project raises levels over our expected production times could be longer, anyway we still have agreements with other companies to give away same part of productions so you should not worry. The estimated delivery date is MAR 2018, but keep in mind this is only an estimate. Also, due to the logistics of international shipping, backers in different regions of the world may receive their rewards sooner than others. We've done our best to minimize these problems as much as possible, and we are always happy to refund pledges if, for some totally unforeseen reason, the project couldn't be delivered at all. Since it is 90% complete, we don't believe this will happen. We have no ongoing projects currently other than this so we're 150% on it. DISCLAMER Our miniatures and terrain are not official miniatures or terrain for any game listed above and we are in no way affiliated with or endorsed by these games companies, nor do we use any copyrighted material of these games or intend any copyright violation. We too are fans of these games and respectful of intellectual property. REFUND POLICY We can refund you within 14 days of the campaign’s end, fees included. After that, we have a policy of no questions asked, though that’s minus Kickstarter and payment processing fees (which we can’t get back from them after 14 days). However, if we’ve begun packaging your pledge for shipment (usually 4 to 6 weeks before the actual shipping date), no refunds are possible. If a component cannot be delivered AT ALL, we refund that completely, including fees. All refunds after the 14 days close of the campaign may be processed via Paypal. This project is being funded in Euro and any refunds processed will be in Euro for the exact amount received in Euro, excluding any applicable fees depending on the time of the refund being processed. TERMS AND CONDITIONS By pledging to this project, you acknowledge that the final look, materials and content of the rewards (and the project) are subject to change and may differ substantially from what is presented while the Kickstarter project was active. 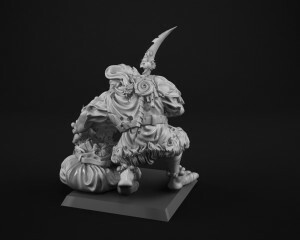 Models will be provided unassembled and unpainted. If you do not log in and confirm your pledge within 8 weeks of our notification via email to confirm your pledge, you agree that we have fulfilled our obligations to you in full for payment or donations received. However, we may, at our discretion, refund or ship your pledge if you contact us and confirm your pledge after the 8 week window has elapsed. If you confirm your pledge within 8 weeks of our notification via email, you agree that our responsibility to you is to ship your order as entered into our pledge manager system, that title and risk passes to you upon delivery to a common carrier for such shipment, and you are responsible for import duties or any other duties that may be payable to the relevant tax authorities, providing correct address information and ensuring this address is deliverable by normal methods. We regret we are unable to ship to PO Boxes. If you do not accept these terms, please do not pledge on this project but instead wait for the general release. 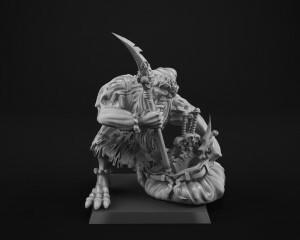 Cartoon style miniatures to play as Undead or Necromancer teams in the world famous Fantasy Football Tabletop game. During Friday 13th They rise from their tombs to march on the pitch. Halloween Hellraisers is our incredible miniature collection to be used as proxy for the famous game of fantasy football. We wanted to offer something different, there are so many teams out there, most of them fantastic, but bonded to a "classic" way to imagine the Fantasy Football. To offer something different we hired a skilled character designer, Sara Fornì. She never heard about the game. She gave us back her interpretation and we turned it in 3d. Drive these fantastic on the pitch! Drive them to victory! Use all your experience, be rude and be nasty! The deads wants you as coach! 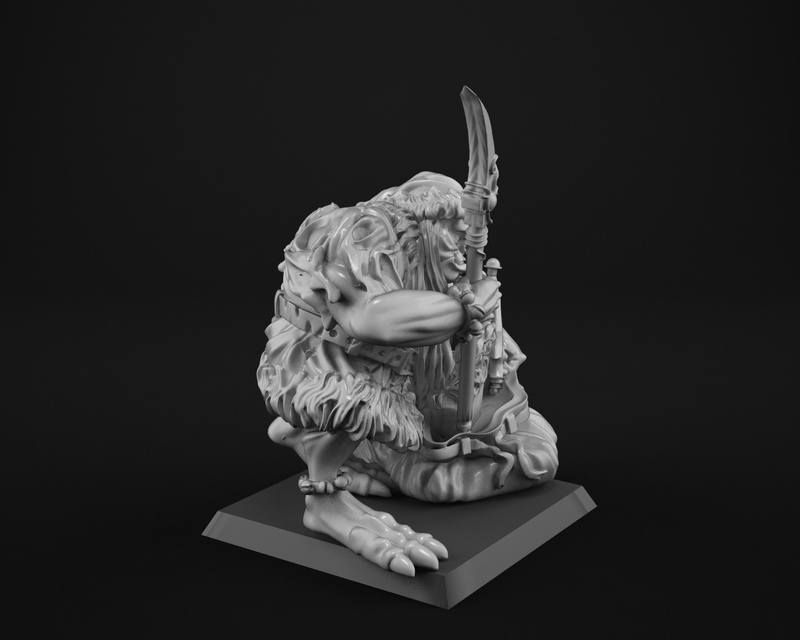 This miniature is dedicated to the character designer Sara Fornì, this is a cameo of her. The miniature will be added for free to all pledges arrived in the first 24 hours. From the second day, it could be added as add-on. Don't miss it. it's kickstarter exclusive! Why Kickstarter? And why us? Posted On April 19, 2016 at 12:04 pm by giosba / Comments Off on We are ready! Finally after so many efforts and sacrifices we made it! Our site is ready, with the store and a lot of hope. After the success of our kickstarter we want to believe that the future of the game and miniatures is the 3d printing. We started with an initial idea of making small objects and scenery, which you can print and reprint every volt ache will serve. In order to customize your miniatures, dioramas and battle sideburns, or even entire battlefields. We started with 3 skulls, which are always useful to be added on a support or on land. They can also be used as markers. We also find three trees that we can add in our battlefields once painted, and added the leaves. 3 gravestones, to create the darkest environments. Another important point for us is the fantasy. We are born with the fantasy and we will never! We have sculptured for you a beautiful dark elf! We also create an area dedicated to the historic. A little more difficult for us, but we also want to test ourselves in this. As a first test we made the bust of a noble Assyrian. But do not worry we are going to add a lot to our department! 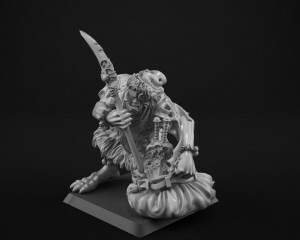 We like sculpting often characters in games or movies that are passionate, characters that you see in the games from slotsmummy, for obvious reasons we can not sell them, but we can give you this for free! In fact, they deal with fan art without any profit. And finally, our little mascot! A small cartoon wizard, born a little for a while playing a joke. always thanking you for your support! Crossed lances study. We have also been trying to get a victory over full tank champs and with the hep from p4rgaming.com it has been a lot easier.